Are you part of that podcast subculture? Have you died and gone to podcast heaven? No, it's much worse than that, because we're going to be talking about The Cat Lady. The Cat Lady is a Horror Adventure game that examines themes of real life and depression through a surrealist lens that never ceases to be interesting and emotional. The design of this game uses and eschews convention in equal measure and the end result is an Adventure game that feels unique, while still reminding you of why this genre can work in the first place. We're going to discuss how audio/visual decisions add to an unsettling atmosphere, the importance of puzzles in Adventure games with such a strong narrative focus, and the unsurprisingly disappointing combat system. Thanks for listening to the podcast this week, join us again next time when we talk about Animal Crossing: New Leaf! 'Til next time... Don't get bypassed, stay with the NOCLIP Podcast! Welcome to the fiftieth episode of NOCLIP. For the occasion, we're taking a deep dive back to our very first episode and talking about the sequel to that game, Splatoon 2. Nintendo has taken their squid-based competitive shooter property and updated it for a new audience on the much more popular Switch console. Despite many people claiming that the sequel isn't much more than an update, we take stock of the differences and the strengths and weaknesses they bring with them. We're going to be talking about how the game feels to play compared to the original, the glory of Salmon Run's design, and the trials and tribulations of being a try-hard idiot. Thank you for listening to the episode this week. While we were very excited to hit this fifty episode milestone, we haven't forgotten the season; so join us again next week as we talk about Fatal Frame: Maiden of Black Water for the Wii U! It's that time of year again. Time to say thanks to all of you, sincerely, for listening to this show. We've been going for two years now, and we're still loving making every single episode. We're still trying to improve, and we're still trying not to commit to tape the kind of thing you're about to listen to nigh on a half hour of right now. Thanks for letting us indulge this week, and we've got a couple of great October episodes planned coming up: Splatoon 2 for our fiftieth episode and our Halloween special on Fatal Frame: Maiden of Black Water Stay tuned, keep an eye on our feed, and thank you again for listening to NOCLIP. Welcome back to another episode of NOCLIP this week. We're going to be talking about Ori and the Blind Forest, Moon Studio's Metroidvania that takes the platforming that's expected of the genre and ramps it up to be the main focus. The platforming challenge combines with stellar presentation to create a game that is lauded by many, so we take a closer look at the way the pieces fit together. We discuss movement through a Metroidvania's levels, visual design and visibility, and nature's most perfect of cold-hearted assassins: frogs. Thanks for listening this week, and join us next episode for a very special fiftieth episode where we revisit the series that started it all and talk about Splatoon 2. Also keep an eye on the feed for a bonus episode celebrating two entire years of our dumb show! At this rate, it'll take ya 100 more podcasts to catch me! 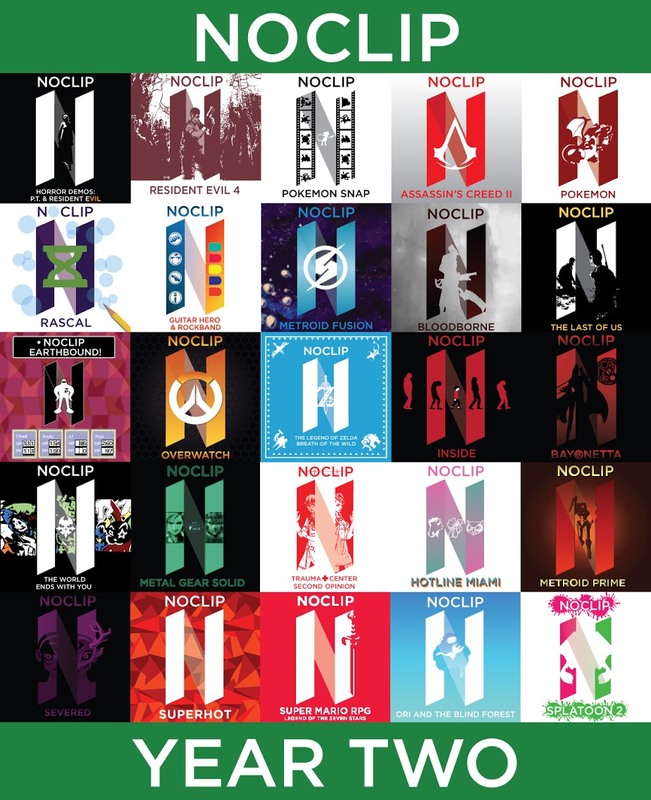 Welcome back to NOCLIP! This week we're going to be talking about Super Mario RPG, Square's take on the Mario franchise and the first RPG to carry Mario's name. Square handling a Nintendo RPG seems like a natural fit, and their touch is noticeable here. However, Nintendo's influence can be seen as well, and a lot of the "Mario" elements are the things that make the game feel unique. We're going to talk about the evolution of the RPG, tedium in combat and Wario's secret identity! Thanks for listening to NOCLIP again this week, and join us next time when we talk about Ori and the Blind Forest! Podcasts are software, bodies are disposable. Welcome back to NOCLIP, where this week we're going to be breaking down Superhot. The central gimmick to Superhot is controlling time. Time only progresses when you move, turning the skill set required for a first person shooter completely on its head. This makes for a more contemplative, though still tense, experience. The mechanical themes of this short game are incredibly strong, but unfortunately, looking further into the narrative can distract you from what it is that it does incredibly well: glorious dodging and shooting. We'll talk about how level repetition can lead to badass perfection, a detrimentally heavy handed plot, and sick, awesome jumping. Thanks for checking us out again this week, and join us next time as we talk about Super Mario RPG! Sasha, come outside. It's time you learned how to podcast. 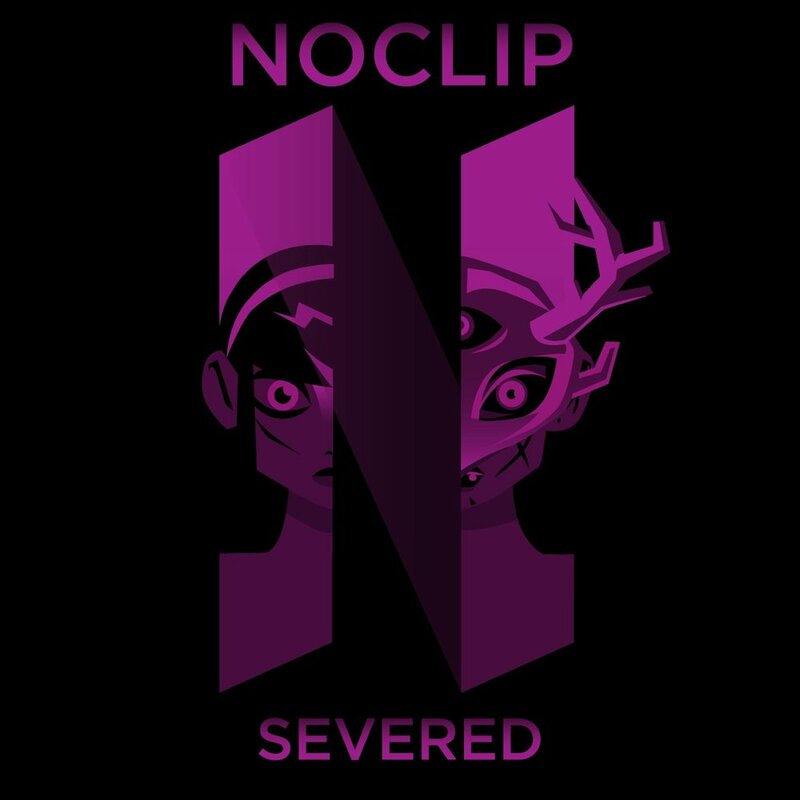 This week on NOCLIP, we're going to be talking about Drinkbox Studio's Severed. Severed makes use of the touch screens prevalent in modern devices by creating a frenetic sword fighting dungeon crawler while striking a very somber tone. The pieces fit so well together, and we enjoyed our time with this game so much that it's one of the few games we've covered that we absolutely recommend getting and playing if you've never heard of it, or just not given it a shot yet. We're going to talk about touch screen gaming, symbolism and abstract plot, and just the grossest papayas. Thanks for checking out the episode, and subscribe to our feed to hear our next episode on Superhot! How can I work under a doctor that doesn't even try to podcast? Welcome back to NOCLIP! This week we're going to be dissecting Atlus's Trauma Center: Second Opinion, a Wii game that used the Wii Remote to simulate surgery of all things. An expanded version of Under the Knife on the DS, Trauma Center changes up its control scheme for the console and creates an entertaining and incredibly challenging game that manages to feel unique and interesting over a decade after its release. We're going to be talking about difficulty, level design and variety, and a mysterious zombie man. Thanks for checking us out this week and join us next time when we tear into Hotline Miami! Do you think a podcast can bloom, even on a battlefield? Welcome back to NOCLIP this week, where we're going to be discussing Konami's classic stealth action game, Metal Gear Solid. Before Konami went complete off the rails and their business philosophy drifted toward "we hate Kojima," they released one of the most prolific stealth games of all time which spawned an extremely popular series, lauded by players and critics alike. We crack open the first of the series to examine how it holds up today and what design decisions make it an all-time classic that has influenced games in and out of the genre to this day. We talk about stealth gameplay, attention to detail, and the meatiest, manliest ways to end your game. Thanks for checking us out this week and prep yourself for surgery, because next time we're talking about Trauma Center: Second Opinion! Welcome back to NOCLIP, today we're going to be talking about Square's unique DS Action RPG that is absolutely JAM PACKED with mechanics. Like an environmentally conscious hunter, Square uses every part of the console from the touch screen to the microphone to the internal clock to govern the myriad systems that sacrifice user accessibility for a complicated and ultimately satisfying combat system that has you constantly doing something, or even forgetting to do things. We're going to talk about action management, incredible aesthetic themes and being a God. Damned. Slammurai. Thanks for listening this week and be sure to check us out next time when we talk about Metal Gear Solid! I don't think I've got time to entertain your blather. I'd much rather hear it straight from your podcast. Thanks for joining us again this week while we talk about Bayonetta. Platinum's flagship franchise started with this send-up of classic Devil May Cry games featuring satisfying action combat and a tone that's straight out of grindhouse cinema. We talk about combo systems, Bayonetta's character design and the cultural ramifications thereof, and the best Subway sandwich advertisement of all time. Thanks for checking us out this week and be sure to come back next time when we talk about The World Ends With You! This week on NOCLIP we're going to be talking about Playdead's Inside. Inside is the second puzzle platformer from the developer of Limbo and the evolution in design is immediately apparent. The game evokes a dark tone in a way that is incredibly effective given its presentation. We discuss striking visual design, puzzle difficulty and pacing and how deep underwater you can be before you can no longer make friends. Thanks for checking us out this week and join us again next time when we talk about Bayonetta! Welcome back to NOCLIP as we finish out our discussion on Breath of the Wild and are joined again by Dan and Janelle. With the formalities out of the way, we get into the depths of the design of the dungeons and the ways in which you interact with the physical world. We're going to be talking about physics simulations and weapon degradation in games, the lifespan of narrative tropes in the medium, and the... it's a... well it's a door that's like... it's sphincter doors. We talk about sphincter doors. Thanks for checking out this second part of the Legend of Zelda, we'll be back in two weeks to talk about Inside, Playdead's follow up to Limbo!